7118 52nd Drive E, Bradenton, FL.| MLS# T3155548 | Christy May | O: 941-739-6777 | Call or text 781-258-6022 | Christy with Coldwell Banker | Residential Community Commercial | Your Premier Real Estate Professional in Sarasota, Bradenton, Tampa/St. Petersburg, and Venice. You're in luck! Buyer financing fell through so this beauty is inspected, appraised and back on market! Charming Waterview Bungalow w/ Key West Style Bermuda Hurricane Shutters on a Quiet Cul-De-Sac Road. Boasting Dbl Master Suites, 2 updated baths and 2 car garage â this home is the only one of its kind in the popular Creekwood Westbrook. Imagine yourself sitting on the front porch looking out over the secluded front gardens. Take in the long lake views that start at the front door & donât stop! An open concept living space w/ soaring ceilings and both Masters are situated to take in the serene water views, as is the screened lanai just past DBL French doors. Store your boat in a spacious garage w/ washer/dryer, laundry tub, organizers & workbench! Never worry about storage with XL closets in every room, extra walk-in storage closet inside & stair attic access. Cozy family room/kitchen combo space will bring folks together & is clean and bright w/ pantry, light cabinets, a window overlooking the front gardens & island for extra cooking space. Newer appliances are all included. 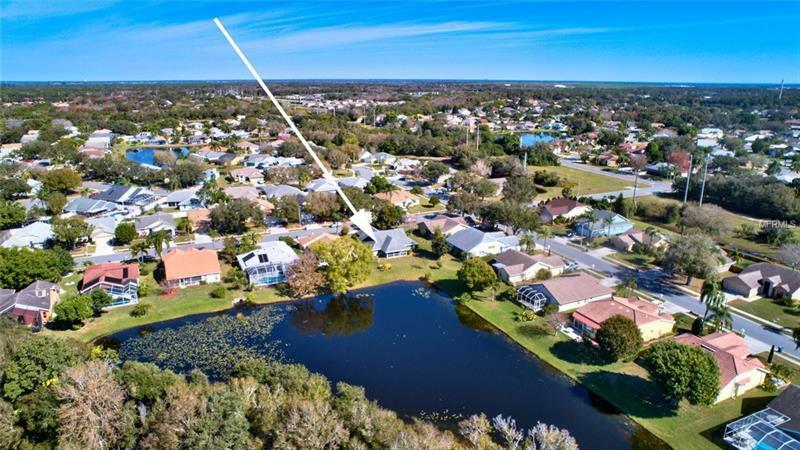 Original owner took great pride in ownership & thoughtfully built for low maintenance, open gathering spaces, peaceful views w/ location near all that makes FL greatâcommunity pool, tennis, basketball & walking/biking paths! Walk or bike to local restaurants, shopping, parks. Quick drive to golfing, beaches & all of Tampa Bay along I-75/275! Your perfect Florida home, freshly painted exterior and ready for move-in! Welcome home! Pet Restrictions: Please see HOA docs for details.